It is always important to keep a list of contact information readily available in case of emergencies. This can be helpful for babysitters, house guests, extended family members or even yourself. 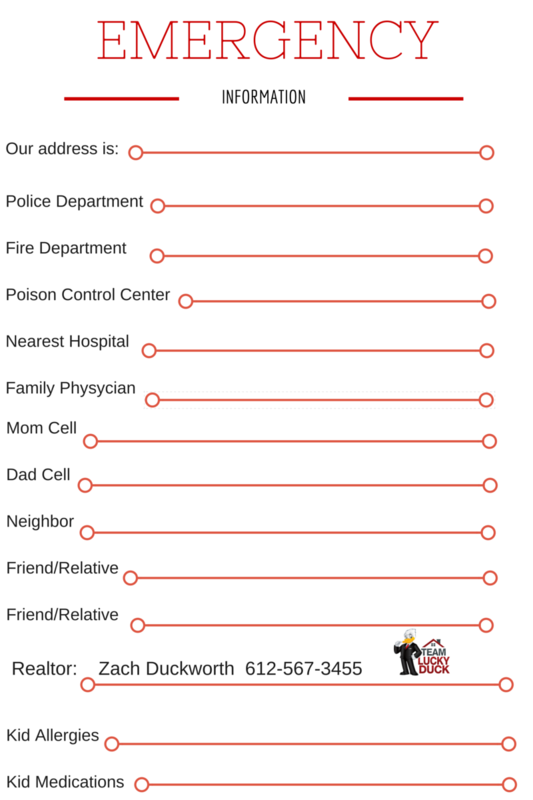 You can download this free emergency contact printable and fill it out for your home. Have some peace of mind by being more prepared in case an emergency should happen in your home.Hang this list on the refrigerator, in the mud room, or any other easily accessible area of your home. And of course, when you need to move into a new home, your realtor’s contact information will be readily available as well.